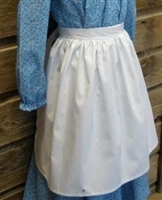 All girl and ladies size bonnets, choose your size and color All girl sizes full-length aprons. The price shown is for the smallest size, select your size to see the price for larger sizes. All girl sizes Pinafore, add lace if desired. 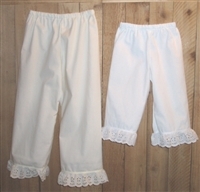 Price shown is for the smallest size, see page to find the price for the larger sizes. Custom made in sizes 2-16. The price shown is for the smallest size, select your size to see the price for larger sizes. All girl and ladies size aprons in stock for quick shipping. The price shown is for the smallest size, select your size to see the price for larger sizes. Custom made in sizes 3-16. The price starts for the smallest size. Custom made in sizes 2-14. The price starts for the smallest size. 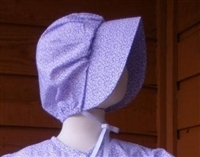 Toddler girl size purple Bonnet in stock Sleeping caps in girl or ladies' sizes. All Ladies sizes full-length aprons. The price shown is for the smallest size, select your size to see the price for larger sizes. Custom made in sizes S-XL. The price starts for the smallest size. Custom made in sizes S-3X. The price starts for the smallest size.